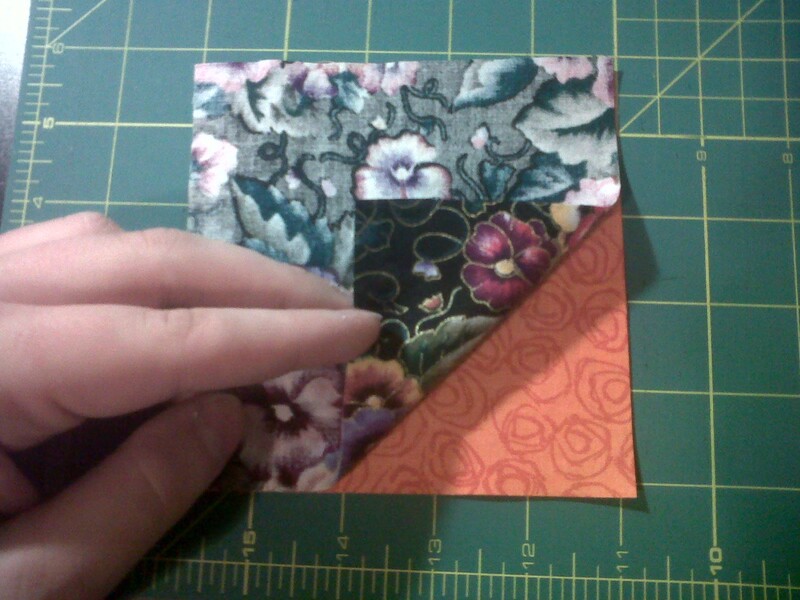 Today, I’m going to show everyone how to make a pinwheel block that is very simple! Follow the jump to see how! 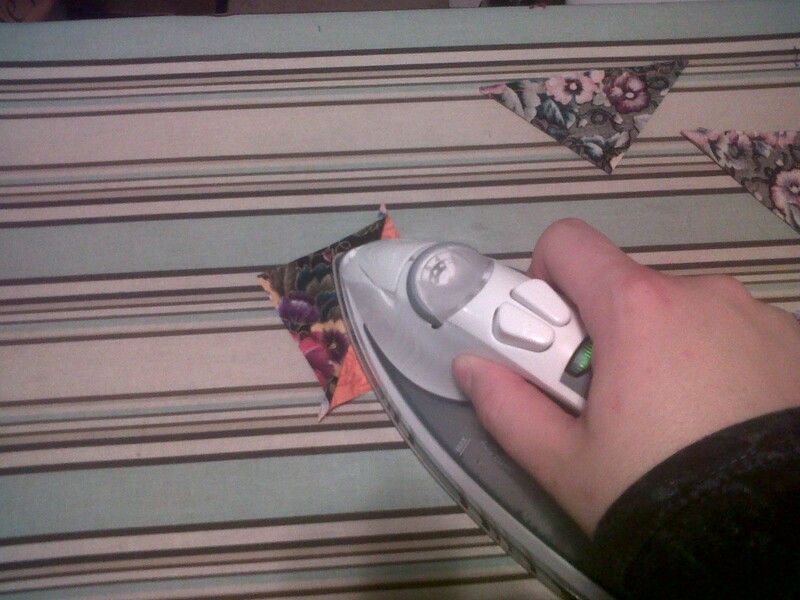 What you’ll need are two squares of fabric. 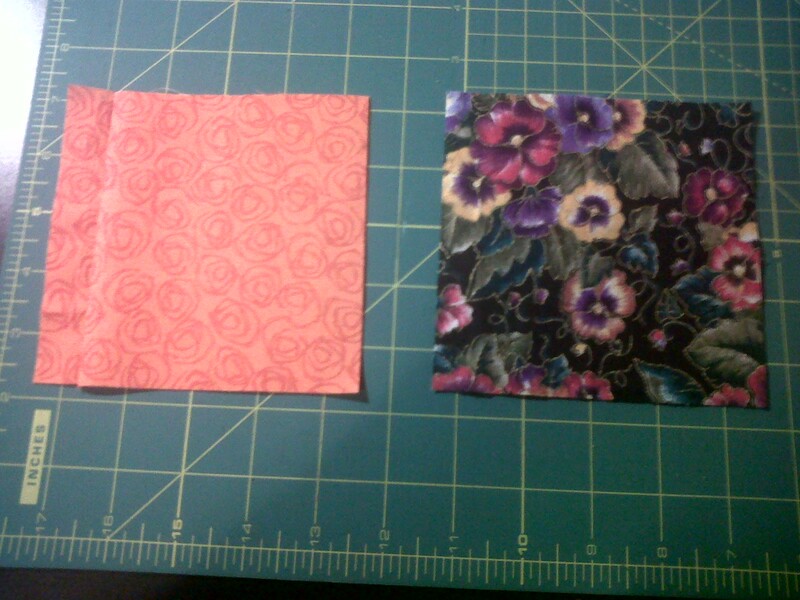 For this I used two 5 inch squares. Put the front of both sides together. Right sides touching each other. 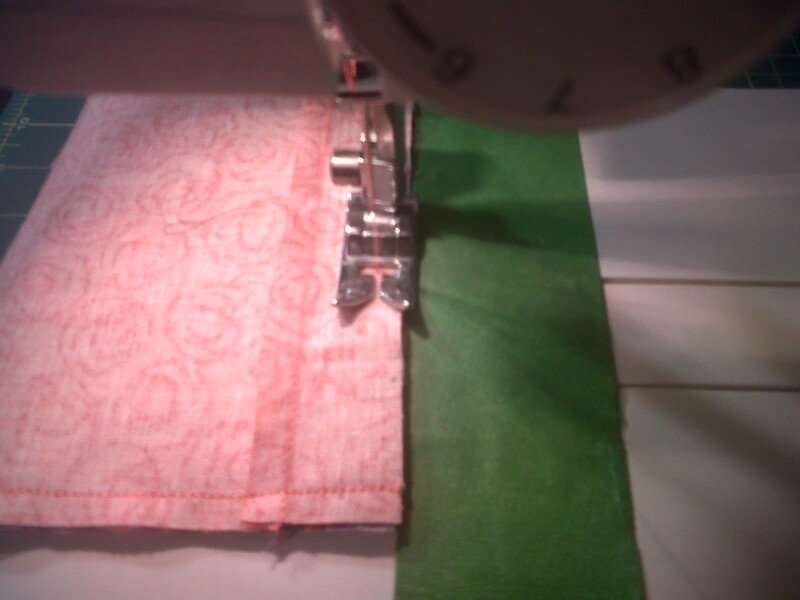 Sew all around the squares with a quarter inch seam. Lay the sandwiched piece fat and cut on the diagonal. 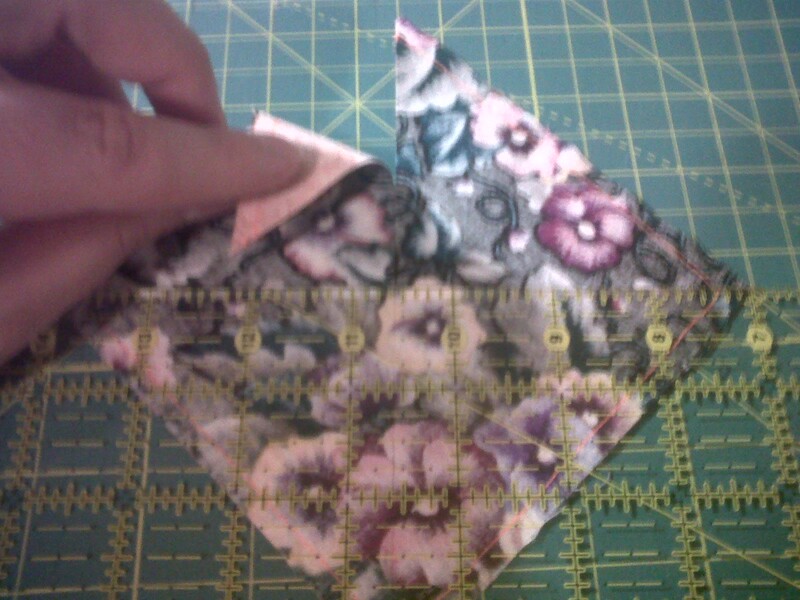 Then Cut it perpendicular keeping the pieces together. 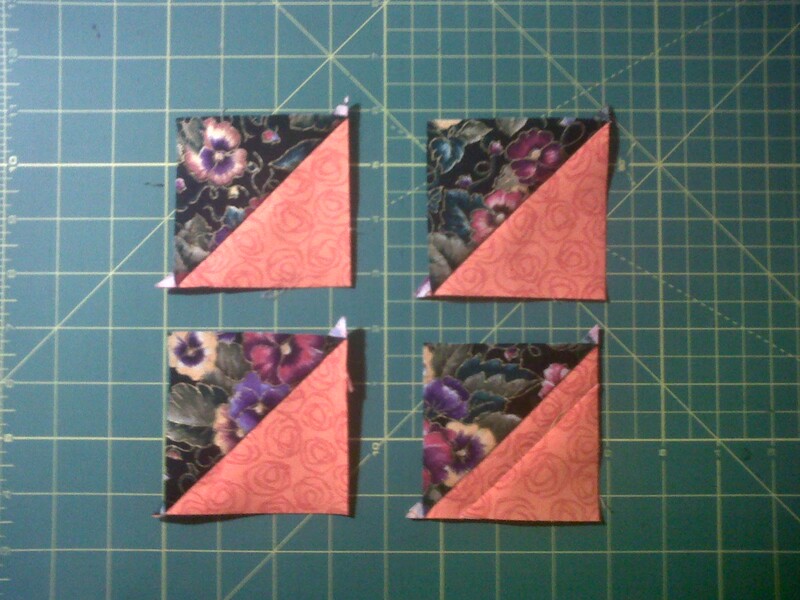 Press open the seams from the squares. You’ll now have 4 squares of equal size. 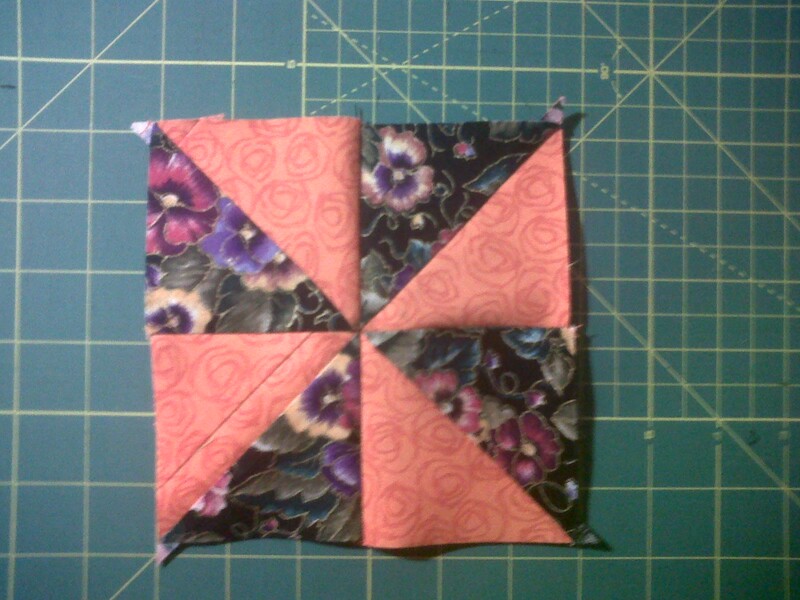 Lay the pieces out to make a gorgeous pinwheel. 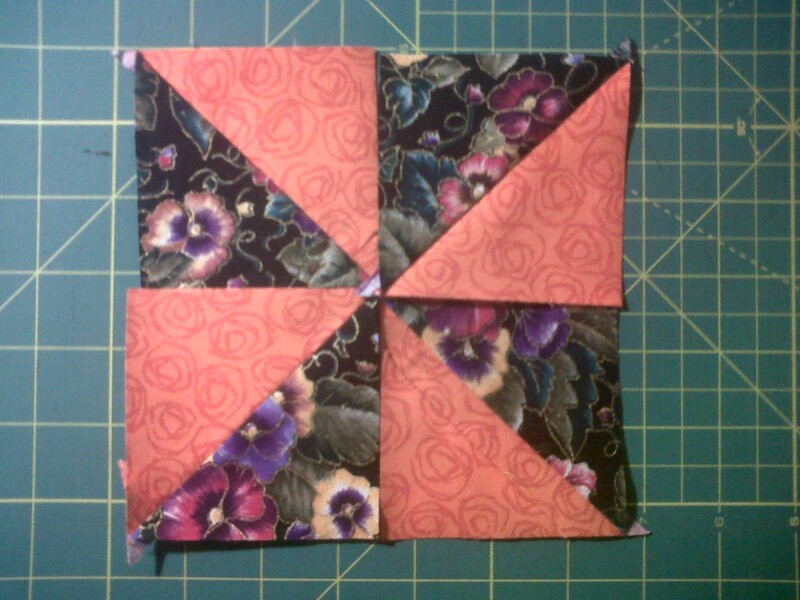 Sew them together, and now you have a perfect pinwheel block! Damn. This is way helpful!!! Why can’t I ever think of these quick-tip things? 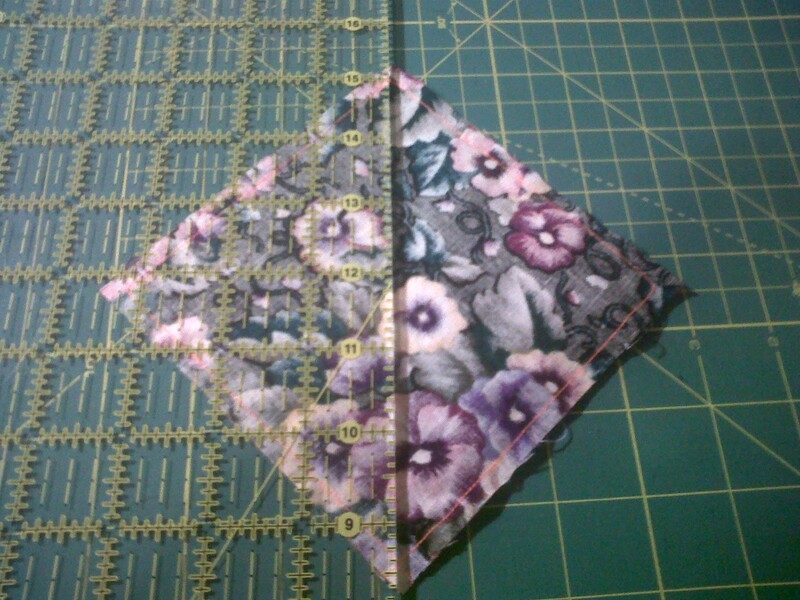 Carol, when I work with this method or any method requiring an open bias I starch the heck out of that fabric/s first. It keeps those bias edges from stretching too much. I’ve been making mine like that for years ,like it .